There were 17 students in the Thai cuisine course, including two male students, mixed with experienced housewives and people who had just started to learn the mysteries of the art of cooking. 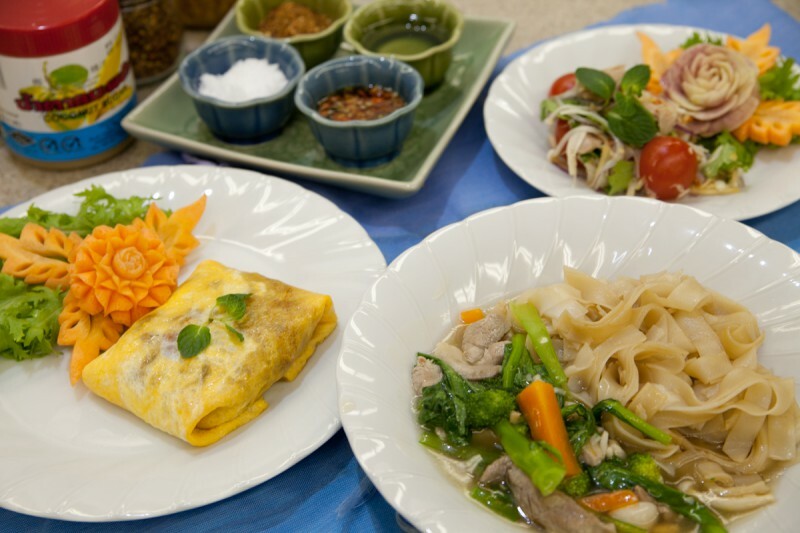 The menu consisted of a noodles dish, Thai omelet, and tuna spicy salad. The crew of the & Rice brought Japanese white rice to the classroom to try with the three Thai dishes. Surprisingly, the combination was better than expected, even though the food, specially the tuna salad, was quite hot and spicy. However, the best rice to be served with Thai food might be Thai rice. In a way, that should be expected, since Thai food evolved with the premise of the subtle taste and texture of Thai rice, and not the sweeter Japanese rice. The interesting thing to notice is the great differences in both food cultures, even though rice plays a major role in Japanese and Thai cuisines, being almost equally important but at the same time very different when compared side by side. Not superior nor inferior, just different. In fact, that awareness only becomes possible when having the opportunity to come into contact with other cultures. Food connects people, and enables us to see beyond the borders. The encounters that food makes possible enrich our lives immensely. The ASEAN Culture Course has a bright prospect. 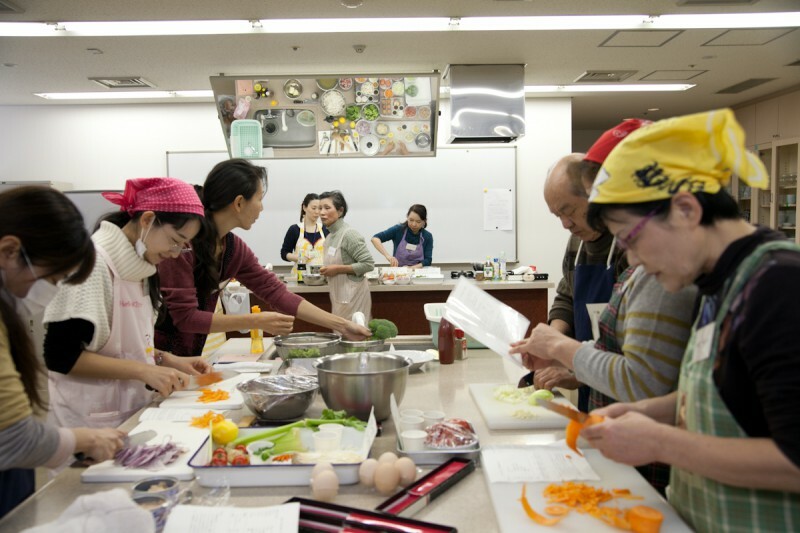 The next Thai Cuisine course will be held at the Westy (Sakai City West Cultural Center), on May 30 (Friday) from 11 AM to 2 PM. The course will be taught by Ms. Tassanee Muraki (Tassanee Thai Cultural Center). Applications will be accepted from May 1st to 15th (Fee: 1,500 yen). There will be a draw if there are more than 18 applicants. In August, a Indonesian Cuisine course is planned to be held.